Surgery involving the oral cavity needs great attention and care especially in view of the post operative care and comfort of the patient. Procedures such as teeth extraction, surgical removal of impacted teeth, preprosthetic dental surgery and dental implantology are considered as minor oral surgical procedures which can be performed under local anesthesia whereas cases of maxillofacial trauma, orthognathic conditions, corrections of congenital deformities, and pathologies are examples of major cases. All of those procedures will impose certain degree of intricacy upon patients depending on the type of surgery foremost performed. It has become the most task of every clinician to foresee the difficulties to be faced by patient ahead of discharging them. Proper care of the oral hygiene and detailed instructions following oral surgical procedures can reduce complications and speed up the healing of the surgical area. Pain and discomfort: The commonest symptom suffered by patient following any surgery. Post operative pain control can be reduced by taking analgesics prescribed by the doctors. 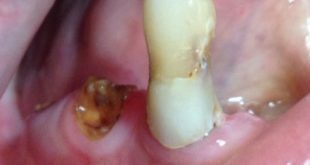 Pain from a simple tooth extraction can be relieved by a few courses of paracetamol compare to non steroidal anti inflammatory drugs (NSAIDs) such as mefenemic acids or diclofenac sodium which is more effective following a surgical removal of impacted wisdom molar. Swelling: Swelling is a part of body response after oral surgery. Swelling will start to progress after the first day of surgery and gradually subside after the fourth or fifth day. An occasional application of warm towel on site of swelling after the third day of surgery could provide relief and comfort. Progress of swelling after the third day with presence of pain, discharging pus and fever should gain immediate attention as possible infection may settle in and must be urgently seen by the surgeon. Bleeding: Control of bleeding can be achieved either by suturing or by compression before any patient is to be sent home. Patient can expect a small amount of blood immediately after surgery which could be easily arrested by biting or compressing with a gauze pack. Gauze pack can be changed once it is soaked with blood clot and saliva while spitting must be avoided as it may exacerbate dislodging of stable clot from the surgical site and further promote bleeding. Ice gargle can further help arrest the bleeding followed by sufficient rest with head tilted higher than the rest of the body. Prolong bleeding with a significant amount of blood loss (gauze soaked with blood) should deserve immediate attention from the clinician. Difficulty in speech, chewing and swallowing: Pain and swelling that occurred at the surgery area in the oral cavity can complicate the process of speech, chewing and swallowing. It is advisable for the patient to take soft diet during the first three days of the healing period together with sufficient amount of fluid as to avoid dehydration. Limitation of mouth opening: Limitation of mouth opening can arise following oral surgical procedure due to a few reasons. Pain that develop after the surgery is the main cause follow by swelling and stiffness of the surrounding soft tissue. Mouth opening will gradually increase once pain and swelling subsides. 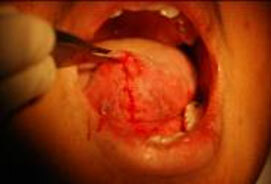 Figure 4: tongue tie released and sutured. Homecare tips beneficial for the patient going for oral surgical procedure. Medications: The patient will be prescribed with medication after the procedure depending on the nature and extent of the surgery. Analgesics are prescribed for these control while antibiotics are only prescribed where there is a necessity. A few of these medications has its own side effects and can interact with other drugs that has already been taken by the patient. It is important to inform the clinician regarding the type of medicine that the patient is taking to together with the duration, frequency and purpose of the prescription. Oral Hygiene: It is important for the patients to keep their oral hygiene in a satisfactory condition since a dirty mouth will increase the chance of surgical site infection and compromise the healing process. The oral cavity can be kept clean by gently brushing teeth in the usual manner but away from the surgical area. 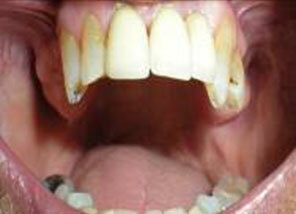 Patient can resume normal tooth brushing and flossing by the second day of surgery. 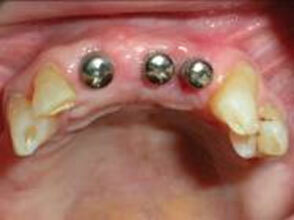 Diets: Patient should avoid chewing on hard food on the first two days of surgery. High calorie, sufficient volume liquid diet is best for the first 12 to 24 hours. Cold and soft food help keep the area comfortable. Ice cream and milk shakes were found to be very beneficial for patient where there is minimal exertion on chewing and swallowing. Daily activities: Patient should avoid doing strenuous physical activities after the surgery. Two days of home rest will allow the patient to recover physically and mentally before resuming normal daily activities. Smoking cigarettes: Smoking can compromise healing of the surgical area so it is strictly prohibited throughout the healing period. Post operative follow up visit: The majority of patients who underwent oral surgery will be given a follow up appointment so that the surgeon can check on the patient’s progress after surgery. A follow up period of 1 week is usually adequate for an uncomplicated procedure while more frequent appointment will be needed for monitoring complicated ones. 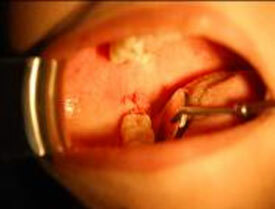 Peterson LJ, Ellis E, Hupp JR, Tucker MR (2004) Oral and maxillofacial Surgery Fourth edition,Elsevier. Balaji SM (2007) Textbook of Oral and Maxillofacial Surgery, Elsevier. Perry M (2006) Head,Neck,and Dental Emergencies ,Oxford University Press.